CALLING DR. THOMAS HORN & HIS MILIEU! Professor Of Biology At Touro College Raises BIBLE Questions Around Whether Human-Animal Chimeras Should Be Granted PERSONHOOD… Or Are They GOLEM Of The Talmud? Synthetic biologists forecast that as computer code is written to create software to augment human capabilities, so too genetic code will be written to create life forms to augment civilization. Homo sapiens, the first truly free species, is about to decommission natural selection, the force that made us. Soon we must look deep within ourselves and decide what we wish to become. Not long ago, a writer for Wired magazine named Elizabeth Svoboda contacted me (Tom) to let me know she was writing an article about “research advances using transgenic animals to produce pharmaceutical compounds.” She had come across an editorial by me raising caution about this kind of experimentation and wondered if I might be willing to provide points for her article, elaborating in areas where I saw producing transgenic human-animals as potentially harmful. She stated that most of the scientists she planned to quote were “pretty gung-ho about the practice,” and said she thought it would be important to provide some balance. I thanked her for the invitation and sent a short summary of some, though not all, of the areas where concerns about this science could be raised. When the article was finally published by Wired, I was surprised that none of my notes had made it into the story. I contacted Elizabeth and asked why, and she replied that they had originally been included in her article, “Pharm Animals Crank Out Drugs,” but in order to create a positive spin on the story, the editors had censored my cautionary notes during the editing process. Elizabeth apologized and said she hoped the experience had not soured me on dealing with the magazine. “It doesn’t sour me,” I assured her. 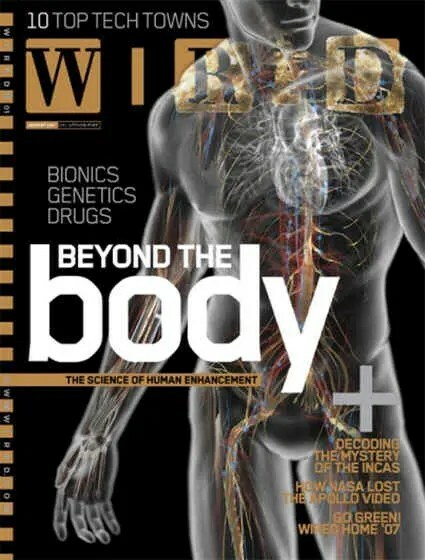 “I just think the reporting by most agencies is lopsided and missing the opportunity to thoroughly engage such an important issue.” The fact was, Wired magazine deprived the public of balanced treatment on an important subject and concluded instead with a scientist by the name of Marie Cecile Van de Lavoir saying that potential human health benefits from transgenic research “justify tinkering” with nature’s plan. “If a transgenic animal produces a great cancer therapy,” she said, “I won’t hear anyone saying, ‘You shouldn’t do that.’” Van de Lavoir’s comments were undoubtedly in response to some of my observations before they were pulled, because in offering caution, I had specifically used the phrase “tinkering with nature’s plan.” Van de Lavoir’s short-sighted approach, like too many bioethicists engaged in the current debate, is as scary as the science, in our opinion. We wanted to contact her to suggest that she watch the film I Am Legend starring Will Smith, which opens appropriately enough with a scientist announcing the cure to cancer using a genetically engineered vaccine that blends animal and human genetics. If you’ve seen the film, you know the “cure” results in a human form of rabies that wipes out most life on earth—a real possibility, given the scenario. Among other things, irt says this means that: 1) If the antibiotic gene inserted into most gm crops were to transfer, it could create super diseases resistant to antibiotics; 2) If the gene that creates Bt toxin in gm corn were to transfer, it might turn our intestinal flora into living pesticide factories; and 3) Animal studies show that dna in food can travel into organs throughout the body, even into the fetus. Add to this the growing secrecy over the use of nanoparticles (eighty-four food-related uses are already on the market and in numerous consumer products such as sunscreens and cosmetics), which as a result of their size behave fundamentally different than other particles, and the possibility of health-related complications increases exponentially. Due to the large corporations (that stand to make billions of dollars from these products) having co-opted the fda into not requiring food labeling or package warnings on gmo foods and health products, you and I are now the biggest lab rats of all time in a “wait-and-see” experiment that will, feasibly within the decade, illustrate whether Pusztai and Ermakova’s rodent findings apply to us and our children. The jcvi site goes on to explain how the ability to routinely write the software of life will usher in a new era in science, and with it, unnatural “living” products like Szybalski’s “new better mouse.” Better mice, dogs, horses, cows, or humans that grow from this science will be unlike any of the versions God made. In fact, researchers at the University of Copenhagen may look at what Venter has accomplished as amateur hour compared to their posthuman plans. They’re working on a third Peptide Nucleic Acid (pna) strand—a synthetic hybrid of protein and dna—to upgrade humanity’s two existing dna strands from double helix to triple. In so doing, these scientists “dream of synthesizing life that is utterly alien to this world—both to better understand the minimum components required for life (as part of the quest to uncover the essence of life and how life originated on earth) and, frankly, to see if they can do it. That is, they hope to put together a novel combination of molecules that can self-organize, metabolize (make use of an energy source), grow, reproduce and evolve.”[iv] Our good friend and host of SkyWatch TV, Gary Stearman and other biblical scholars are raising red flags over Synthia technology, warning that any biotech life application leading to modification of the human genotype for “improved” humans will be an inconceivable affront to God and could result in divine repercussions. Animal-rights activists have raised similar questions having to do with the ethics of altering animals in ways that could be demeaning to them—for instance, creating zombielike creatures that grow in feeder labs and gaze off into space from birth until death. Militarized animals that behave in unnatural, unpredictable ways. Humanized animals that become “self-aware,” or animals that produce human sperm and eggs, which then are used for in vitro fertilization to produce a human child. Who would the parents be? A pair of mice? The prospect of human cloning was raised in the nineties immediately after the creation of the much-celebrated “Dolly,” a female domestic sheep clone. Dolly was the first mammal to be cloned using “somatic cell nuclear transfer,” which involves removing the dna from an unfertilized egg and replacing the nucleus of it with the dna that is to be cloned. 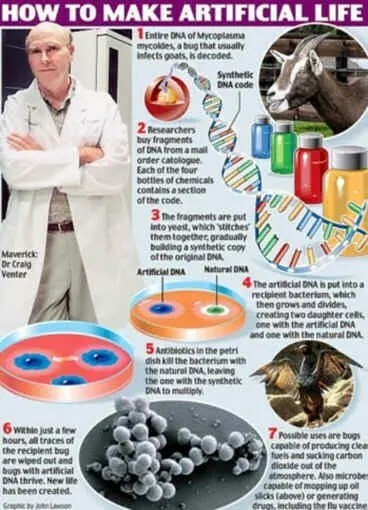 Today, a version of this science is common practice in genetics engineering labs worldwide, where “therapeutic cloning” of human and human-animal embryos is employed for stem-cell harvesting (the stem cells, in turn, are used to generate virtually any type of specialized cell in the human body). This type of cloning was in the news not long ago when it emerged from William J. Clinton Presidential Center documents that member of the Supreme Court, Elena Kagan, had opposed during the Clinton White House any effort by Congress to prevent humans from being cloned specifically for experimental purposes, then killed. 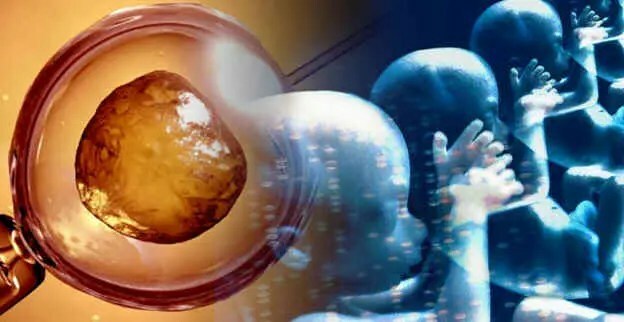 A second form of human cloning is called “reproductive cloning” and is the technology that could be used to create a person who is genetically identical with a current or previously existing human. While Dolly was created by this type of cloning technology, the American Medical Association and the American Association for the Advancement of Science have raised caution on using this approach to create human clones, at least at this stage. Government bodies including the U.S. Congress have considered legislation to ban mature human cloning, and though a few states have implemented restrictions, contrary to public perception and except where institutions receive federal funding, no federal laws exist at this time in the United States to prohibit the cloning of humans. The United Nations, the European Union, and Australia likewise considered and failed to approve a comprehensive ban on human cloning technology, leaving the door open to perfect the science should society, government, or the military come to believe that duplicate or replacement humans hold intrinsic value. Germ-line genetic engineering has been in the news recently due to development of “Crispr technology” – which is a more precise way of editing DNA than anything that has come before and is being hailed as the start of “a new era of genetics” involving a wide-range of experiments in thousands of laboratories currently that reopens questions about genetically modifying people. Germline gene editing has the potential to actually achieve the goals of the early eugenics movement (which sought to create superior humans via improving genetics through selective breeding) through genetically modifying human genes in very early embryos, sperm, and eggs, which then becomes heritable. As a result, germ-line engineering is considered by some conservative bioethicists to be the most dangerous of human-enhancement technology, as it has the power to truly reassemble the very nature of humanity into posthuman, altering an embryo’s every cell and leading to inheritable modifications extending to all succeeding generations. Debate over germ-line engineering is therefore most critical, because as changes to “downline” genetic offspring are set in motion, the nature and physical makeup of mankind will be altered with no hope of reversal, thereby permanently reshaping humanity’s future. A respected proponent of germ-line technology is Dr. Gregory Stock, who, like cyborgist Kevin Warwick, departs from Kurzweil’s version of Humans 2.0 first arriving as a result of computer Singularity. Stock believes man can choose to transcend existing biological limitations in the nearer future (at or before computers reach strong artificial intelligence) through germ-line engineering. If we can make better humans by adding new genes to their dna, he asks, why shouldn’t we? “We have spent billions to unravel our biology, not out of idle curiosity, but in the hope of bettering our lives. We are not about to turn away from this,” he says, before admitting elsewhere that this could lead to “clusters of genetically enhanced superhumans who will dominate if not enslave us.”[vii] The titles to Stock’s books speak for themselves concerning what germ-line engineering would do to the human race. The name of one is Redesigning Humans: Our Inevitable Genetic Future and another is Metaman: The Merging of Humans and Machines into a Global Superorganism. Besides the short list above, additional areas of concern where readers may wish to become well advised on the pros and cons of enhancement technology include immortalism, postgenderism, augmented reality, cryonics, designer babies, neurohacking, mind uploading, neural implants, xenotransplantation, reprogenetics, rejuvenation, radical life extension, and more. [i] Institute for Responsible Technology, http://www.responsibletechnology.org/GMFree/Home/index.cfm. [ii] Waclaw Szybalski, In Vivo and in Vitro Initiation of Transcription, 405. In A. Kohn and A. Shatkay (eds. ), Control of Gene Expression, 23–24, and Discussion 404–405 (Szybalski’s concept of Synthetic Biology), 411–412, 415–417 (New York: Plenum, 1974). [iii] “First Self-Replicating Synthetic Bacterial Cell,” J. Craig Venter Institute, http://www.jcvi.org/cms/research/projects/first-self-replicating-synthetic-bacterial-cell. [iv] Peter E. Nielsen, “Triple Helix: Designing a New Molecule of Life,” Scientific American (12/08) http://www.scientificamerican.com/article.cfm?id=triple-helix-designing-a-new-molecule&ec=su_triplehelix. [v] Charles W. Colson, Human Dignity in the Biotech Century (Downers Grove, IL: InterVarsity, 2004) 8. [vi] C. Christopher Hook, Human Dignity in the Biotech Century (Downers Grove, IL: InterVarsity, 2004) 80–81. [vii] Garreau, Radical Evolution, 116.